Our secure, web-based Virtual Terminal (OMEGA VT) allows merchants to process transactions without having to purchase expensive processing software programs or countertop terminals. OMEGA VT resides on an off-site server and is accessible through a secure web portal from any PC with an internet connection, day or night. No software upgrades are ever necessary, and no worries about storing cardholder data on your PC. OMEGA VT eliminates the need for constant PCI upgrades to stay compliant and reduces your exposure to compromised card data. All card and cardholder data is stored on our secure PCI-audited server, not on your PC. Customizable Sales Templates: Eliminate the clutter of fields you don’t use. Simple template customization for disabling unwanted fields. Twenty Custom Fields: We know every business is different. Along with that comes the need to capture industry or business-specific information, so we have included the ability for you to create up to 20 custom fields that you can tailor to your specific needs. Robust, Full-Function Reporting: Historical transaction information is stored for up to three years and can easily be accessed via the OMEGA VT Reporting Tool. Robust transaction search criteria options allow you to quickly find the data you are looking for, without having to sift through a filing cabinet or match up receipts and settlement reports. Batch Upload: For sending and authorizing large numbers of transactions simultaneously. Setting up recurring billing payments for membership, service or rental fees has never been easier. The OMEGA VT Recurring Billing utility is user-friendly, flexible and ‒ best of all ‒ comes with your Virtual Terminal account at no additional cost. The Customer Vault picks up where Recurring Billing leaves off by allowing you to store customer and card information securely off-site, without having to assign a specific payment plan. If you frequently do business with the same customers, but not always on the same days or for the same amounts, then the Customer Vault is a perfect fit for you. 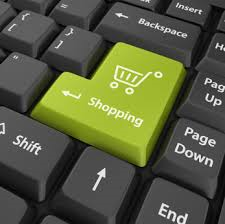 OMEGA VT can be integrated with your website for accepting payments directly from your web store. Transactions are securely captured and processed in real time and generate a receipt that can be displayed and emailed. All transactions are recorded in the Virtual Terminal Reporting and can be quickly retrieved for performing voids and refunds. Do you process card present transactions but still want to take advantage of OMEGA VT’s other services such as mobile processing, recurring billing, customer vault or invoicing? You can, simply by using OMEGA VT’s Retail Swipe program and a USB card reader. Utilizing the Retail Swipe service gives you the best of both worlds, and there’s no need to purchase an additional terminal. Earn lower interchange rates on B2B transactions with Level II and Level III Processing. 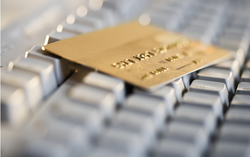 Do you mainly process B2B transactions with an occasional consumer transaction? Level II Processing can mean a 0.50% -1.50% savings on interchange rates, and it’s built in to every OMEGA VT account. Level III Processing provides an even better interchange rate savings opportunity but is most appropriate for merchants who primarily process B2B transactions using government or corporate purchasing cards. Level III Processing requires a number of extended data fields and is limited to certain processing networks. Stop fraud before it happens! iSpyFraud adds additional layers of security when using the OMEGA VT and payment gateway for processing transactions through your web store. iSpyFraud is a rule-set based, fraud-management utility that allows you to configure extensive filters to help you detect and screen suspicious transactions. The thorough reporting system gives you a quick and easy way to review transactions, block suspicious activity and zero in on malicious users. iSpyFraud looks at transactions both before and after processing and can decline them both before and after authorization. This security suite increases security, decreases chargebacks and reduces product lost from fraudulent transactions. QuickBooks TM SyncPay plug-in provides support for synchronization and payment processing from directly within QuickBooks ProTM, QuickBooks PremierTM, and QuickBooks EnterpriseTM (version 2007+) . Not compatible with POS and Online versions. Quickclick is a quick and easy way to integrate the OMEGA VT and Gateway with your web store without having to hire a web designer. Quickclick is a 2-in-1 HTML generator that first allows to you create and customize products on your website and then create customized payment buttons and fields ‒ all without having to write a single line of HTML code on your own. The VT Product Manager is a virtual database that you can use to store frequently sold items for quick recall when making transactions. Also, you can create Item Packages that bundle multiple items. An Auto-Calculate tool totals the order total and auto-populates the information onto the screen. There is no additional cost for the VT Product Manager. Also known as Verified by Visa (VbV) and MasterCard® SecureCodeTM (MCSC), Payer Authentication allows consumers to shop online more securely. 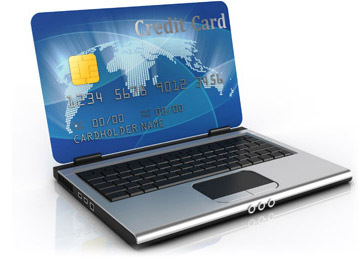 VbV/MCSC enables cardholders to create a PIN and assign it to their credit or debit card. During checkout, the customer is prompted to enter their PIN. The cardholder’s identity can then be confirmed by their Card Issuing bank. Visa and MasterCard reward merchant adoption of these programs by providing chargeback protection for domestic and international transactions. Accept payments anywhere with the free iProcess Mobile Payment app. In addition, you can purchase an encrypted mobile swipe to swipe credit cards and obtain card- present rates. When it comes to qualifying for lower interchange fees, the general rule of thumb is “the more information, the better.” Nowhere is this more true than with Business-to-Business (B2B) transactions. By including additional data, such as tax amount, customer code, merchant postal code and tax identification information, B2B transactions can qualify for lower interchange rates. And, OMEGA Processing’s industry leading virtual terminal product, OMEGA VT, can help. Transactions fit into one of three different categories – Level I, Level II or Level III. Each level has its own data requirements and methods of verification and authorization, ranging from very limited to very detailed. Level I processing refers to typical business-to-consumer (B2C) transactions, during which consumers use their personal credit cards. While the data required to process a Level I transaction is small, the interchange rates are higher. Level II and III processing involve business-to-business (B2B) transactions and require completing extended data fields when completing the transaction. Including this additional data improves transaction security and allows commercial accounts to monitor and control credit card spending. In addition, merchants can save from 1 – 2% on their processing costs by having transactions qualify for Level II and III processing. How Does OMEGA VT Help? Level II processing options for B2B transactions come built-in to every OMEGA VT account – at no additional charge. By requiring a few additional data fields on B2B transactions, transactions may qualify for Level II processing and interchange rates between 0.05% – 0.50% lower than Level I transactions. For those merchants who primarily process more detailed B2B transactions, Level III processing is also available, which offers even more interchange savings. While Level II processing has its own pricing schedule, these transactions can qualify for rates 0.25% -2.50% lower than Level I transactions. Looking for more information on saving with B2B transactions with OMEGA VT? Contact OMEGA Processing’s Customer Service team at 866.888.9724 Ext. 7. 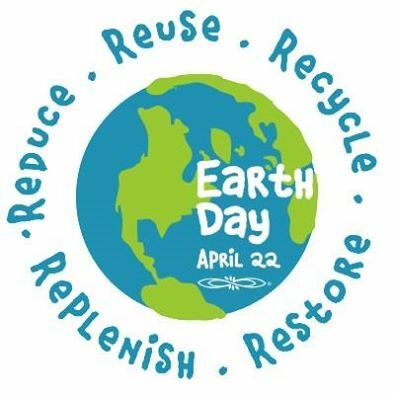 Happy Earth Day, which is a day set aside for the world to demonstrate support for environmental protection. Want to do your part to save the planet? Contact OMEGA Processing to learn more about our resource-saving solutions. With electronic invoicing from OMEGA Processing’s virtual terminal, OMEGA VT, you can generate invoices and automatically e-mail them to your customers. And, your customers can pay directly from the e-mail. Switching to paperless invoicing you can save yourself and your customers time and money while at the same time working to save thousands of trees. Generating the invoice is simple. You can set up invoice terms and payment methods. Line-by-line detailed information, including Item Description, Quantity, Unit and Cost, is shown to your customer. 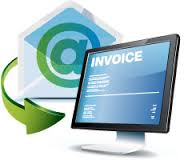 There’s NO limit to the number of invoices that can be sent, and NO website is required. Contact us today at 866.888.9724 Ext. 7 or info@omegap.com to learn more about this paper-saving and money-saving options!